There’s a special place in my heart for speech language pathologists (also usually identified as “SLP’s.”) It’s an awesome career path, and I’m honored to have my life and heart touched by SLPs pretty regularly. 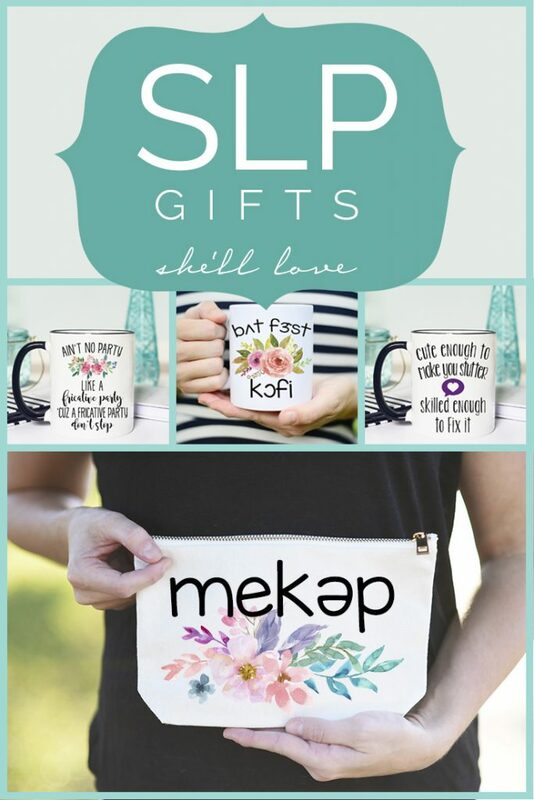 I’ve rounded up my favorite SLP Gifts That She’ll Love. Hold on to your coffee and makeup, friends. Christmas is coming up and we all know she’ll flip for some SLP mug love. 1. Cute Enough To Make You Stutter. Skilled Enough To Fix It. That’s right. She’s adorable and takes your breath away. She may even render you speechless. 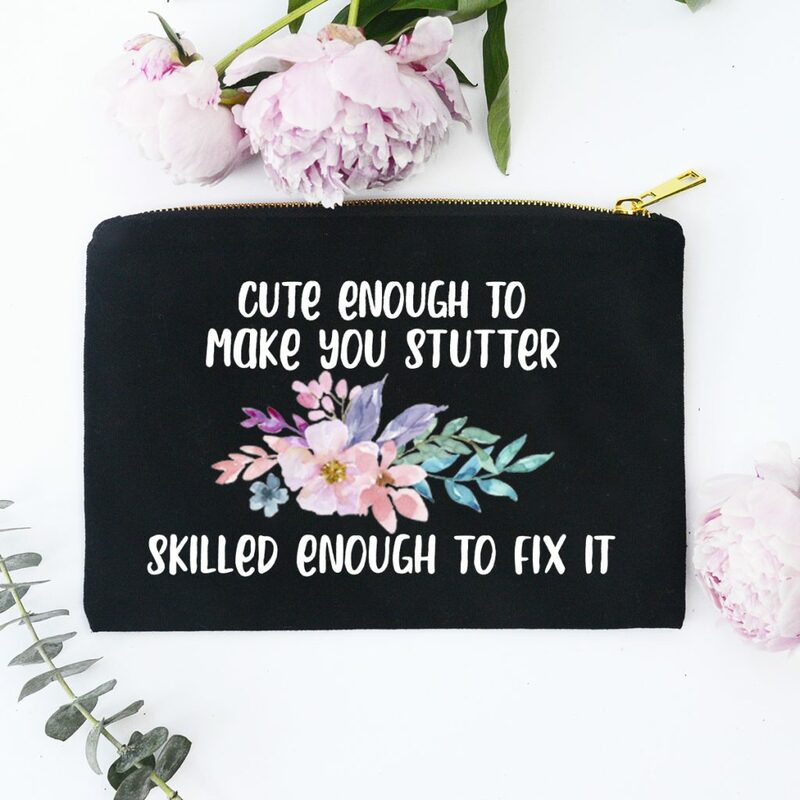 But don’t worry, she’s got the skills to fix your stutter….even if she’s the reason. Is your favorite SLP a lover of makeup? Does she refuse to leave the house without applying her mascara, or touching up her powder? 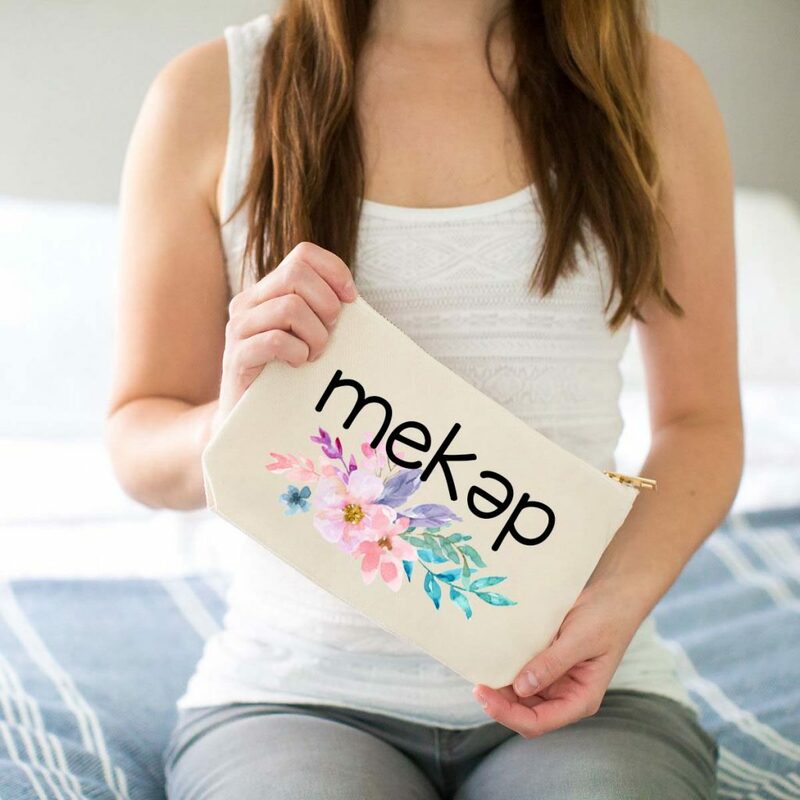 This makeup bag is the perfect tongue-in-cheek bag gift (not gag gift!) for her. 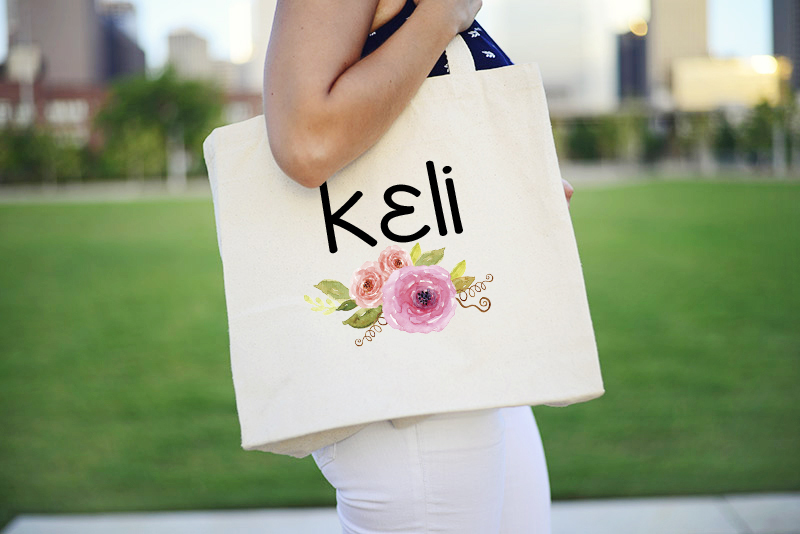 Every SLP has to carry tons of stuff, and if they spend their time going from home visit to home visit, I’m sure that she’ll love the convenience and portability of this tote bag. It’s cute, and sports her name, but in a cute, SLP kind of way. For all my “regular Joe” readers out there, a fricative consonant example are “f” and “th.” Think of the words and sounds that your average child will mispronounce, and chances are, it has a fricative consonant in it. 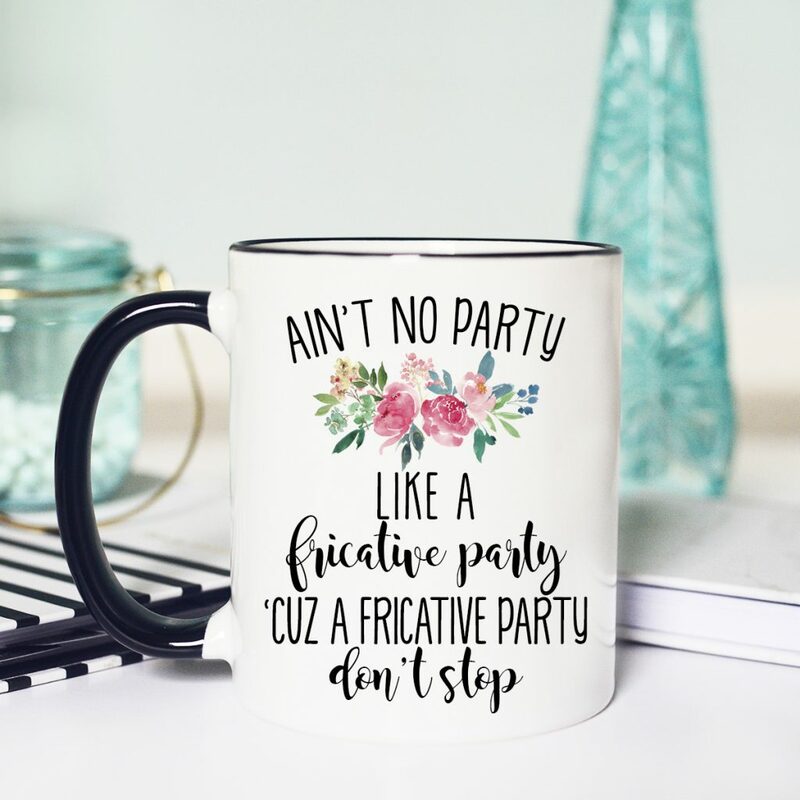 But those fricative parties don’t stop. She’ll get the joke, and love the humor. Maybe she isn’t really into the cutesy, humorous type mugs? 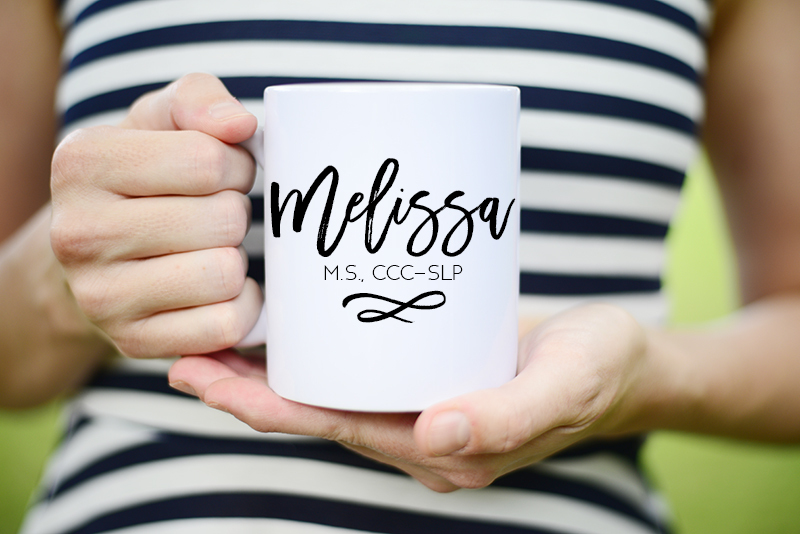 She’ll love this personalized mug, that also proudly includes her certification on it. It’d look amazing on the desk of a newly promoted SLP, in my humble opinion. 6. 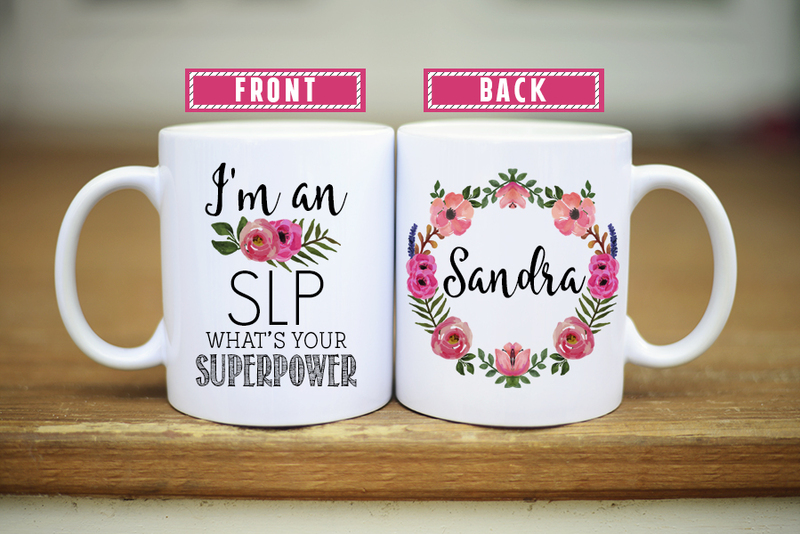 I’m An SLP, What’s Your Superpower? Plain and simple, SLP’s rock. They teach the masses to speak correctly, and build confidence in children and adults on a daily basis. That’s their super power. What’s yours?